We want players to feel like the badass ninja they deserve to be. Sairento VR (http://store.steampowered.com/app/555880) is a tribute to action-loving fans who want to experience the iconic "bullet-time" scenes from The Matrix, blended with the slow-motion mayhem of the Max Payne game series, all while looking and feeling as badass as the Bride from Kill Bill. It is on the 4th day of release on Christmas day that I am writing this article. Still only an Early Access game on Steam, our game has received more than a thousand downloads (and counting). 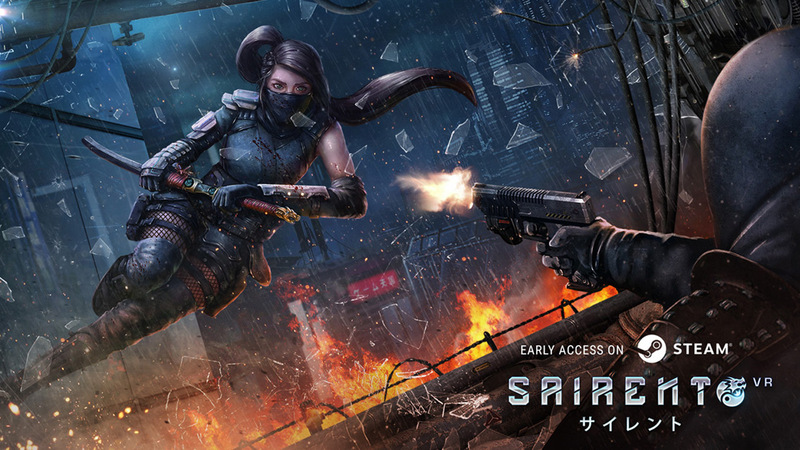 It has received dozens of rave reviews from fans over the world eager to see how Sairento VR would evolve. Honestly, we are thrilled, a little overwhelmed, grateful and definitely humbled by the fanbase. A few months back, as the owners of Swag Soft - a mobile app development company based in Singapore - we made an important decision. We 'fired' one of our most talented programmers, set up a new company called Mixed Realms and made the programmer a co-founder of the company. We also put him in charge of spearheading the development of a VR game. That programmer is now the proud creator and lead developer of Sairento VR. His name is Chalit Noonchoo. Sairento VR is not just Mixed Realm's first game, but also Singapore’s first full action VR game to enter the international market. We are proud that we have put our small country on the world map through our product. We are consistently hearing from our fans that they really love the core action game play we designed which allows players to leap around as a futuristic ninja, blast off bullets in slow motion and slash into an enemy at the speed of lightning. One of our players wrote to us, "One of the real purposes of VR is to make the player feel or do something they just can't in real life. Congratulations, you did it. I am a 56 year old freaken Time Shifting, Enemy Slaying, Ninja with Guns. Not only have you made me feel like a cool badass killing machine, I am also exhausted, so I got a good work out too." Indeed, we want our players to feel the exhilaration of being a complete badass with the ability to take down enemies in a manner they will never get to do in any lifetime. We know that we have succeeded in a minor way when we can make a 56 year old fan feel like Scorpion from Mortal Kombat! The backdrop of our game is set in futuristic Japan, where players take on an army of ninjas, samurais, geishas, yakuzas, police officers and more. The first thing we had to consider was how to make it all come together without looking awkward. We had to consider how the locations had to appear futuristic without losing the architectural touch of traditional Japanese buildings. We had to balance that with the functional aspect so that players can interact with the environment with hesitation. Our Creative Director - Edi Torres - wants to give players a fusion of opposing themes: sombre Japanese dojos drowning in chaotic neon lights and enemies that look like robots but bleed like humans. She wants them to experience the action & struggle even before they play the game. And they love it! As the founders of Mixed Realms and the executive producers behind Sairento VR, we are very heartened with the positive response we are getting from the international gaming community. It is something we are not taking for granted and we will be considering every praise, suggestion and criticism very seriously. Moving forward, we will continue to work hard on improving Sairento VR. Players can look forward to the full release version of the game complete with a storyline, more levels, more enemy types, improved graphics and improved gameplay around the second or third quarter of 2017.